Very useful One Pager for ‘CSS Icon’ – a webapp built on AngularJS by Wenting Zhang that provides code for pure CSS icons. The Singe Page site features a neat grid of icons including a slick instant search. Nice touch when you hover over code classes it reflects within the relevant icon area in blue. 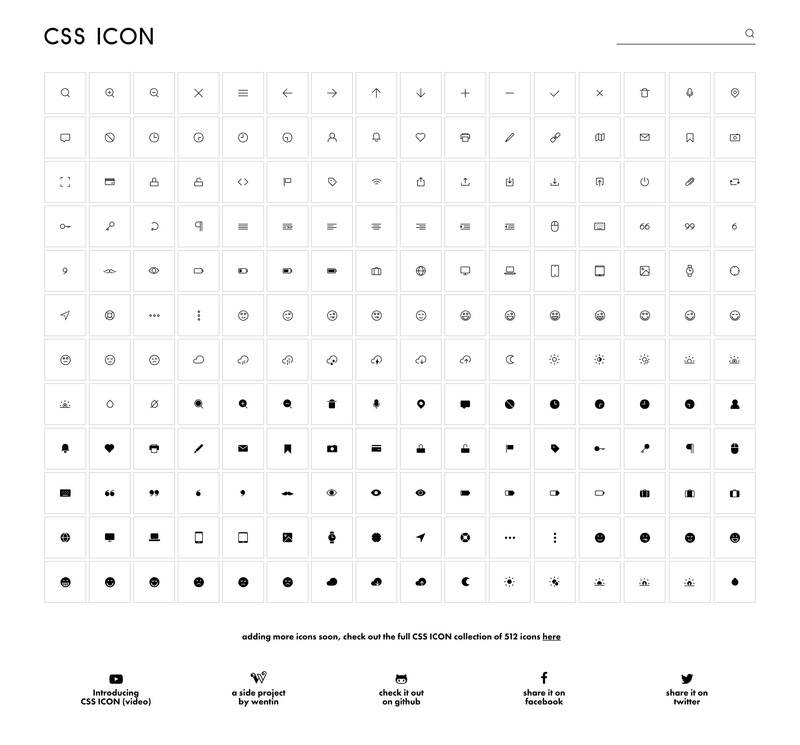 Icon set made with pure css code, no dependencies, "grab and go" icons. If you're interested to know more, see the video overview.